Small businesses and startups are heavily reliant on search engine optimization (SEO). They don’t have the benefit of decade-long histories and established presences that the big brand-names enjoy. This is why staying on top of trends in SEO is so essential. If your rating drops because you’ve been too occupied with outdated strategies, it can be a long road to scramble back up to your prior position, let alone rise higher. Keep these trends of 2015 in mind when devising your SEO strategy in order to stay at the top of your game. As Google’s algorithms are refined to produce more organic results, they have begun to draw on social media and take it into account in determining rankings. This has given rise to social media optimization (SMO), a key component in any successful SEO strategy. Successful SMO strategies generally revolve around two spheres. The first is simple: presence. Every tweet or Facebook post is another little message to the internet reminding them that you’re around. By backing up these reminders with quality content, you generate interest and help establish yourself as a reputable source. This way, when people look into whatever your field is or have questions, they’re more likely to find their way to you. The second sphere is engagement. A business on Facebook, Twitter, or some other social media site can engage with customers like a person instead of a brand name or logo. This helps your business feel relatable and fun, making your potential customers more comfortable and at ease. A careful balance must be struck to avoid getting too casual or trying to chime in on the wrong trends, but if you succeed then the rewards are immense. This is similar to the above, but not quite. Backlinks—when another piece of content refers readers to your web site—have always been important in SEO. A backlink comes in two main types. The first is an express link, a direct hyperlinked keyword. The second is an implied link, which is a bit more vague but no less important. An implied link is when someone reads about your business and then searches for it. Both forms of backlink will contribute to your SEO and are obtained in largely the same way: generate interest and conversation about your content. While you can always include a link to your main site in social media posts or at the bottom of articles (which you should), generating buzz is the best way to get backlinks. The more people talk, the more likely they are to link back to you. Even if they don’t provide an express link themselves, they generate implied links as people look you up to see what the fuss is about. Google’s algorithms have gotten smarter and take into account what a person’s most likely intent is when producing results. For example, if someone were to run a search for “coffee shops in Portland,” the algorithm would assume you are looking for somewhere to visit and prioritize pages that also include directions. By understanding what people are likely look for and arranging your content appropriately, you can better meet these semantic needs. Another part of this is the rise of long-tail keywords—phrases that are four words or more in length. Long-tail keywords are increasingly important as they are both more precise and can encompass better targets. They also take into account what someone is actually after. “Condos in Chicago” is a simple three-term keyword that will get some possibly relevant results, but few people are looking for any possible condo. “Pet-friendly condos in Chicago near subway” is a long-tail keyword that is going to produce much better results. By taking advantage of long-tail keywords, you can craft more targeted content to both improve your variety of pages and to better attract specific queries that might otherwise be lost. Having a mobile-friendly web site is useful for any business. People are using their smartphones more and more for casual queries, finding a place to eat, or any number of other on-the-go searches. Having a mobile-friendly sight has two primary benefits. First, it ensures that the people who actually visit your site on a mobile device will stay on it and look you over rather than immediately leave for a more accessible page. Secondly, Google actually prioritizes web sites with good mobile optimization when people run searches from their smartphones. You and a competitor may have near-equivalent search rankings on a normal computer, but if you’re mobile-optimized and they aren’t, you suddenly leap ahead in the rankings when someone searches on their phone. Security is scrutinized by search engines, visitors, and potential hackers. Even if you don’t accept credit card payments, any web site with a subscription or sign-in feature is liable to suffer a security breach of its visitors’ data. There are numerous methods you can employ to improve security from heightened encryption to obtaining security certificates to using HTTPS links instead of HTTP. While you aren’t expected to have bank-level cybersecurity, you shouldn’t let customer protections slide or sit on the backburner. 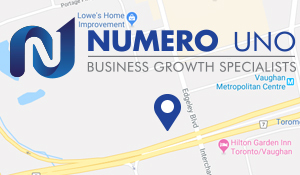 Numero Uno Web Solutions is a provider of search engine optimization solutions for startups and small companies from all industries and fields. We stay on the pulse of industry changes and adapt our practices to produce quality SEO plans to fuel the growth of businesses across communities. Click here to learn more about SEO techniques and how we can help improve your search profile.